Our Innovative Hybrid Film Technology Is A Step Above The Rest. XPEL PRIME HP not only looks cool — it feels cool. Our films were designed with first-class heat rejection technology to keep you comfortable and protected. Sun Stoppers has partnered with Xpel, who offers a line of high quality window tinting and paint protection films that preserve your investment with best in class durability, performance, appearance, and overall quality. Our dedication to professionalism and superior workmanship combined with Xpel’s optimal product line creates an unstoppable duo in the window tinting industry. Xpel promises each one of their window tinting and paint protection products will protect the investment made in your vehicle. Their quest for excellence doesn’t stop, they ensure your automotive protection products are only installed by highly qualified and trained window tinting experts who have extensive experience installing window tint and paint protection solutions. XPEL PRIME HP offers higher heat rejection compared to traditional dyed films with a slightly more reflective finish. XPEL PRIME HP provides SPF 1,000 protection that effectively blocks over 99% of harmful UV rays that can lead to numerous skin cancers, premature aging and skin cell damage. Although our XPEL PRIME HP contains a metalized layer, we have specifically formulated our hybrid construction so it does not interfere with radio, cellular, or Bluetooth signals. The black color of our XPEL PRIME HP series provides a great match to OEM privacy glass and remains the same over the years. XPEL PRIME HP series is a perfect marriage of value and performance. When protection from heat isn’t as big a priority, XPEL PRIME CS is an ideal choice. Like XPEL PRIME XR, it blocks 99 percent of the sun’s damaging UV rays, and it provides a lifetime of color-stable, glare-blocking performance. It will never fade, crack, peel or turn purple like many lesser protection films often do. XPEL PRIME CS’s neutral charcoal finish looks great on any car, and like XPEL PRIME XR, it has a lifetime transferrable warranty. Our cutting edge technology decreases the glare caused by infrared and UV rays before it reaches your eyes — enhancing visibility and reducing eyestrain. XPEL PRIME CS window films block solar heat radiation to keep your vehicle at a comfortable temperature and improve fuel efficiency. XPEL PRIME CS provides SPF 1,000 protection that effectively blocks over 99% of harmful UV rays that can lead to numerous skin cancers, premature aging and skin cell damage. 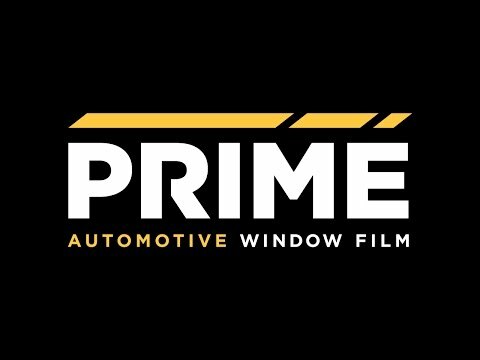 The black or neutral charcoal color in our XPEL PRIME CS window films remains the same over the years and never fades or turns purple. It’s the finest window film available at any price, and is guaranteed for the life of the car. Traditional window films try to do two jobs—block heat and look cool—and usually don’t do either of them well. 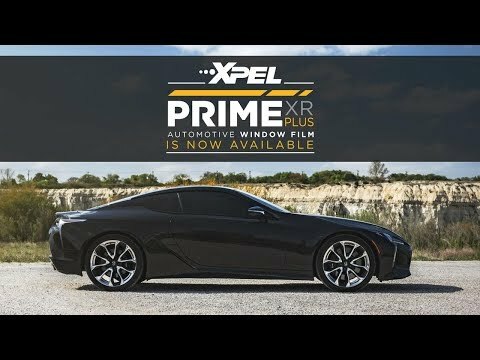 XPEL PRIME XR gives you all of the heat and UV protection benefits of window tint, but without the super dark look that can make it hard to see out of the car—or get you a ticket in some locations. XPEL PRIME XR’s nano-ceramic particle formulation blocks 99 percent of the sun’s UV rays and more than 80 percent of its heat and infrared radiation—all without the metallic ingredients other films use that can disrupt radio, cellular and Bluetooth usage inside your car. XPEL PRIMETM XR contains ceramic particles that filter out the sun’s infrared radiation — making them more effective than traditional metallized or dyed films. Our ceramic particle technology blocks the vast majority of the sun’s heat-causing infrared radiation — keeping your interior cool and improving fuel efficiency. XPEL PRIMETM XR provides SPF 1,000 protection that effectively blocks over 99% of harmful UV rays that can lead to numerous skin cancers, premature aging and skin cell damage. XPEL PRIME XR allows us to provide the highest performance without sacrificing clarity and color. Our nano-ceramic particle technology does not interfere with radio, cellular, and Bluetooth signals like traditional metallized films. It’s the finest window film available at any price and is guaranteed for the life of the car. Traditional window films try to do two jobs—block heat and look cool—and usually don’t do either of them well. XPEL PRIME XR PLUS gives you all of the heat and UV protection benefits of window tint, but without the super dark look that can make it hard to see out of the car—or get you a ticket in some locations. XPEL PRIME XR PLUS nano-ceramic particle formulation blocks 99 percent of the sun’s UV rays and more than 98 percent of its heat and infrared radiation—all without the metallic ingredients other films use that can disrupt radio, cellular and Bluetooth usage inside your car. XPEL PRIME XR PLUS contains ceramic particles that filter out the sun’s infrared radiation — making them more effective than traditional metalized or dyed films. XPEL PRIME XR PLUS provides SPF 1,000 protection that effectively blocks over 99% of harmful UV rays that can lead to numerous skin cancers, premature aging and skin cell damage. XPEL PRIME XR PLUS allows us to provide the highest performance without sacrificing clarity and color. Our nano-ceramic particle technology does not interfere with radio, cellular, and Bluetooth signals like traditional metalized films. Xpel window tint blocks 99% of harmful and dangerous UVA and UVB rays while providing a lifetime of color stable, glare blocking performance. Xpel window tint films never fade, crack, peel, turn purple or interfere with electronic devices in your vehicle. Using quality products always produces a cleaner finish when it comes to window tinting and paint protection services. Conventional paint protection films can show scars and yellowing after a single year of use—especially in the real world, where most of us drive every day. XPEL ULTIMATE PLUS isn’t a conventional paint protection film. Constructed from a combination of advanced elastomeric polymers, XPEL ULTIMATE PLUS special clear coat not only prevents the film from discoloring due to contamination and ultra-violet radiation but also heals itself from swirl marks and light scratches that can occur through ordinary washing and drying or daily driving. Contaminants like bug splatter, bird droppings, sap and road tar wipe off XPEL ULTIMATE PLUS super-slick surface with a cloth, while scuffs and light scratches in the surface of the film disappear within minutes in the heat of the sun or the warmth of your garage—leaving your car pristine and the protective film like new. And this level of protection comes without compromise. The mirror smooth finish of XPEL ULTIMATE PLUS ensures that no unwanted texture, commonly referred to as “orange-peel,” is added to the appearance of your car, leaving the protected surface indistinguishable from the factory paint. Professional installation by one of our network of factory trained installers ensures exact alignment around surface features such as air inlets, parking sensors, headlamp washers and other design elements, while the film along the perimeter of each panel is wrapped around the edges for a truly invisible barrier against the hazards awaiting you on the road. You drive one of the finest cars in the world. Protect it with finest paint protection film available on the market. Sun Stoppers only utilizes technologically advanced window tinting and paint protection films. Our dedication to customer satisfaction and our expert installation ability allow our customers to always be pleased with our work. Protect not only the investment you made when you purchased your vehicle but the family and friends who are riding with you. © 2019 Sunstoppers Lake Norman | All Rights Reserved.